Raquel Valdez is a corporate strategist, marketing guru, and housing and small business advocate. She manages the strategic growth and development of statewide nonprofit economic development organization Business & Community Lenders of Texas. Raquel holds a B.B.A. from the University of Texas at San Antonio in Management and Marketing and has 11 years of experience in the field of community and economic empowerment. Her passion is building strong communities by promoting balanced economic opportunities for homeowners, small business owners, and consumers. As Chief Operating Officer of BCL, Raquel has developed the organization’s Homeownership, Community Development and Entrepreneurship lines of business in both Austin and Dallas markets. 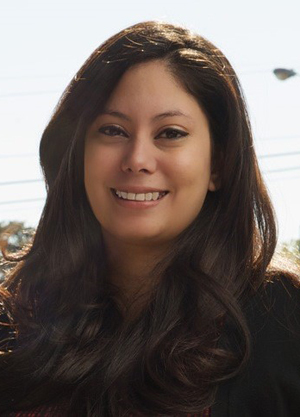 In addition to managing daily operations, overseeing the budget, and advancing the mission-related impact of the organization, Raquel has worked one-on-one with hundreds of Austin residents to help them fulfill their dreams of owning their own homes and businesses. Throughout her career, Raquel has worked directly with over 2500 Central Texas business owners, providing 2000 hours of startup coaching. The economic impact of this effort resulted in $10 million in affordable loan capital deployed, with over 300 new jobs created. Raquel focuses on the creation of livable wage jobs at businesses using green practices to promote health economic growth. Raquel has also helped individuals build personal wealth and stability by working with 500 clients for pre- and post-purchase counseling. These services prepare clients to manage their personal finances, increase their savings, improve their credit, and prepare to buy their first homes. Raquel teachers BCL’s 8-hour Home Buyer Education course each month. In her work in neighborhood stabilization and foreclosure prevention, Raquel has helped 430 homeowners retain their homes. In 2014, Raquel collaborated with partners across the state to launch a payday alternative program. The program was immediately met with popularity, signing up several major employers, and providing over $7 million in affordable short-term lending to over 6,000 borrowers. In early 2017, the program’s model was duplicated in other states to provide affordable loan alternatives as a payroll benefit to small business employees. Raquel’s biggest strength lies in her ability to bring together diverse players to build joint efforts such as the FDIC Alliance of Economic Inclusion, Financial Fitness Greater Austin, and various nonprofit and private sector community development advocates to work together to address Austin’s most pressing economic and social challenges. A graduate of Leadership Texas’s Power Pipeline, Raquel has served as Chair of the Greater Austin Hispanic Chamber of Commerce Accessing Capital Committee; Treasurer and Vice President of the Young Hispanic Professionals Association of Austin (YHPAA); Treasurer of the I-10 Corridor Association. She currently now serves as a Board Member of the Dream Come True Foundation, a workforce development organization in Austin and as the Vice President of I-10 Corridor Association, which promotes economic development in rural towns along interstate 10 in Texas. Raquel recently completed the Opportunity Fellows Program, offered by the Opportunity Finance Network. Ms. Valdez is a fifth generation Austinite and volunteers her time to a variety of charities, including a commitment as a mentor with SouthWest Key’s mentor program.